Circumstances change through the course of people's lives, marriages and after a divorce. As such, there are many good reasons why a child support order might need to be changed. And just because a Judge makes a child support order, does not mean that one or both parents may not want to change the order at some point. However, in order to change a child support order, parties must show that there has been a “change in circumstances” that would merit modification. Here are some of the most popular reasons: change in income, loss of a job, incarceration, other children, changes in time spent with one or both parents, the child's needs changed. Courts prefer that both parents agree to the amount of child support for their children. If they are able to reach an agreement on the amount of child support or modified support, it can be put into writing as a stipulation and given to a Judge for signature. Once the Judge signs the agreement, it becomes a new order for child support. However, if the parents cannot agree on the modification, a motion must be filed with the court asking for a change. Parents should be aware that unless and until the Judge signs a new court order, the existing child support amount will remain in effect and must be paid as such. A verbal agreement will not suffice if there are questions or disagreements. Consequently, legal experts highly recommend protecting yourself by putting the modification into writing and having a Judge sign it. It should be noted that requests can be made at any time for child support amounts that were ordered below the California state guidelines. A change in circumstances is not needed for this type of child support modification. Nothing in this article should be construed as legal advice. Individual circumstances and facts vary from case to case. Any and all questions you may have about divorce, support or family law should be directed to a qualified and experienced family law attorney. Escondido, meaning "hidden" in Spanish, is located in a shallow valley surrounded by rocky hills. With a founding date of 1888, Escondido has become known as one of the oldest communities in San Diego. With a variety of shops and restaurants, downtown Escondido has become a booming part of Northern San Diego in the past few years. Art enthusiasts will be happy to see that a branch of the Mingei International Museum was recently opened on Grand Avenue in the center of town. Escondido is also home to many great outdoor parks and hiking trails. For their legal needs, Escondido residents can use of the North County Regional Center in Vista. This facility can be found on 325 South Melrose and services most of Northern San Diego County. Additional information can be obtained by contacting our offices or the court directly. With a team of attorneys that are experienced in a variety of family law cases, Doppelt and Forney, APLC offers a great family law legal resource. We are members of the San Diego Better Business Bureau and the San Diego Bar Association. We encourage you to give us a try by scheduling your confidential consultation today. We constantly strive to be your trusted local attorneys and believe we offer exceptional family law services at Doppelt and Forney, APLC. Schedule your appointment online today or call us at 858-312-8500. We are conveniently located just 10 minutes from Escondido, off Bernardo Center Drive in Rancho Bernardo. 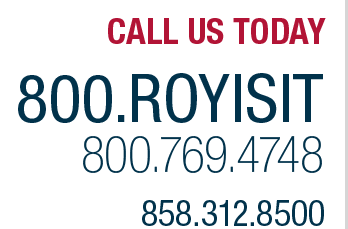 Call us today and we will help you get started with your family law case.